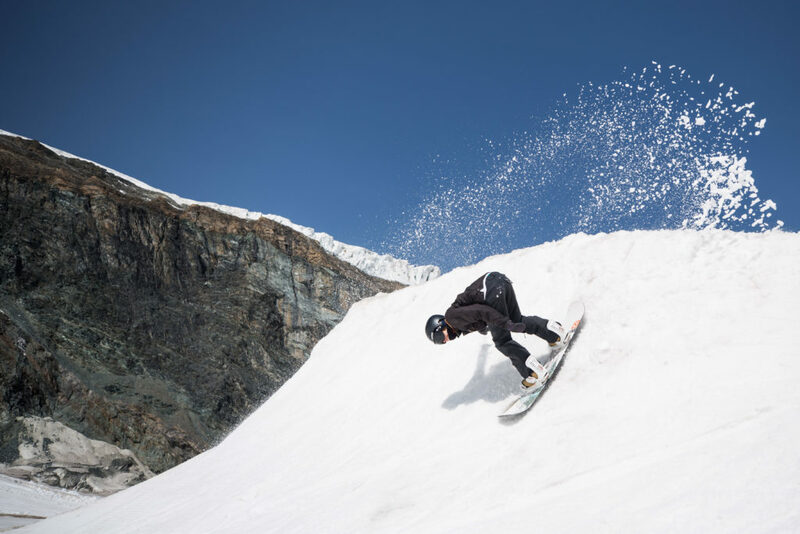 Last month we visited Snowpark Zermatt. 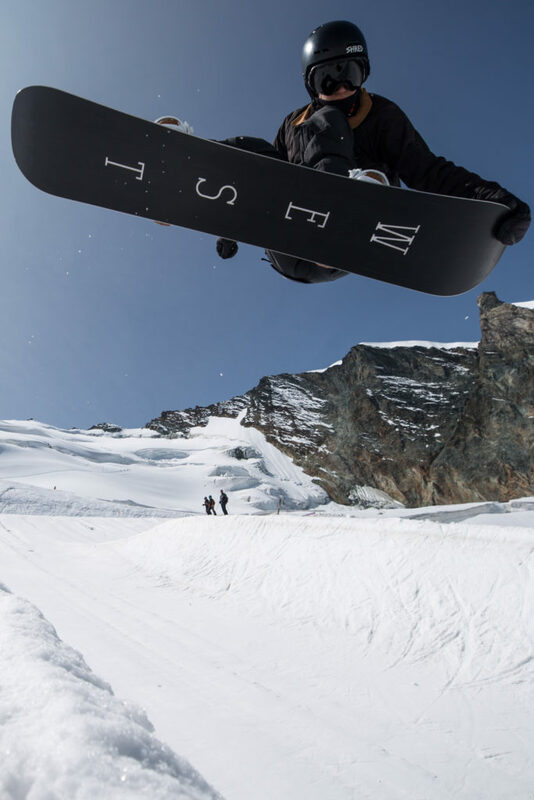 Snowpark Saas-Fee opened its doors a week later and we wanted to see what the park looks like. 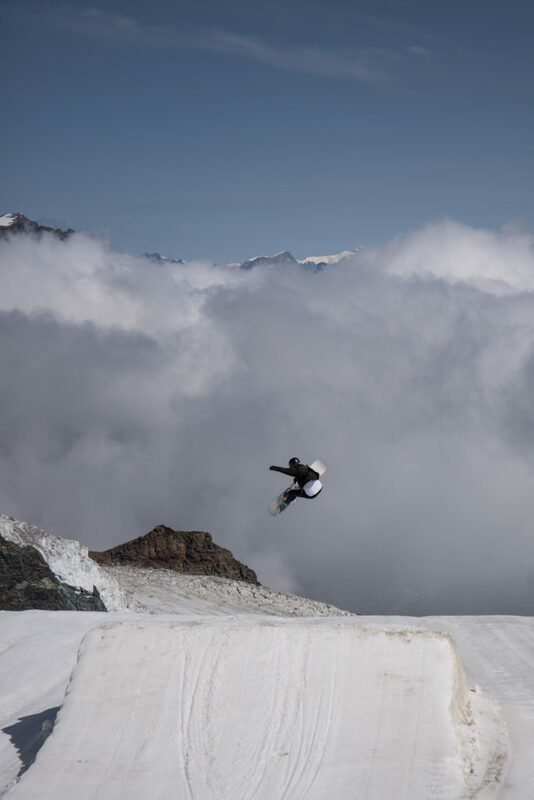 Since we got word that our interview partner from last year’s issue 41 – Elena Koenz – is currently in Sass-Fee, we sent contributing photographer Kuno Egli to join her for a few runs. 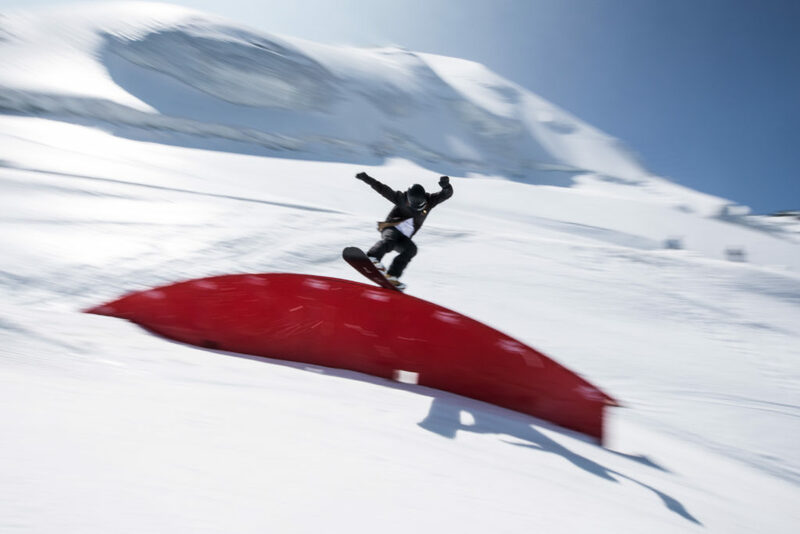 The park starts with a rail section of currently 6 features and offers something for everyone. A rainbow box is the first thing to hit. The rail part finishes with a wallride. A sweet mini pipe comes up for all you transition enthusiasts. You then have to choose whether you want to hit the pro line with two kickers (tables around 20 meters) or the medium line with three jumps (tables around 10 meters). At the bottom of the run a multi feature with different take offs is waiting for you. 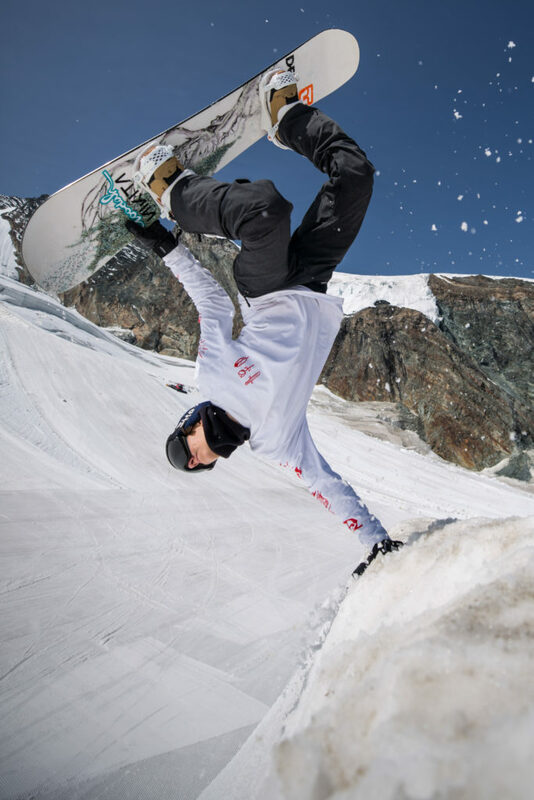 … and what trick feels best for a last run? A big spray on the multi feature! If you haven’t already, grab an issue 41 and read the interview with Elena. Did we mention that she’s an amazing artist as well? Elena presenting the beauty of a board that displays her artwork. 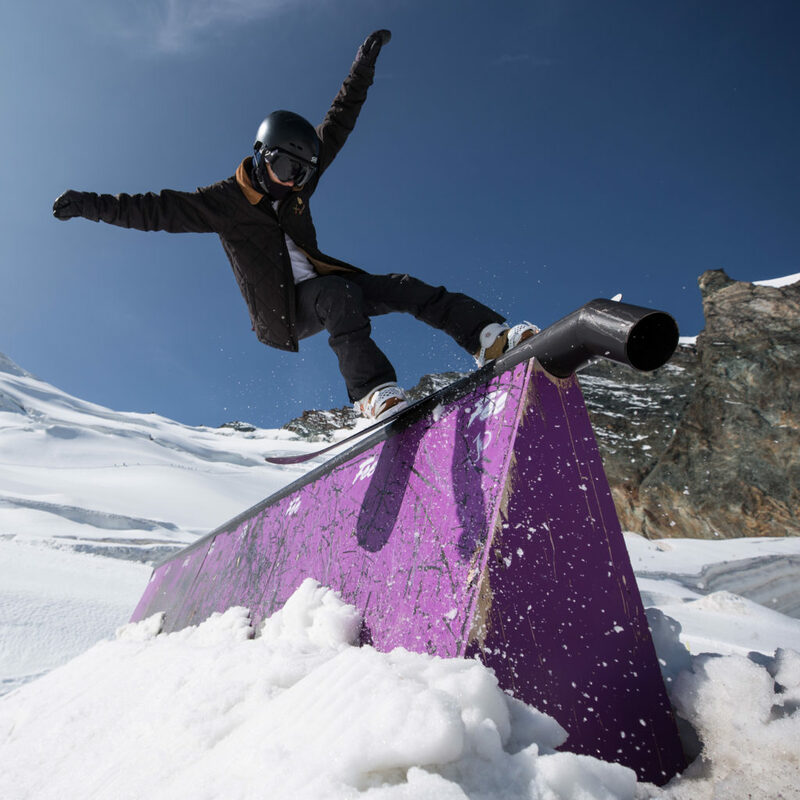 More information about Snowpark Saas-Fee can be found here.